One of the most enduring myths about the decline in British democracy is that of the apathetic voter, too lazy to take part. But it’s nonsense. All over the UK, people care passionately about the community, the country and the world in which they live. They volunteer, they campaign, they sign up to initiatives like 10:10 to help look after the environment. But for many engaged, passionate people, politics seems like a dead end. The individualistic, impotent tools that we are offered to hold government to account – intermittent elections where most votes are wasted and the choice is between parties competing to represent the same narrow set of floating voters – simply doesn’t seem worth the time it takes. But we shouldn’t let that fool us into thinking that people don’t care. I was reminded of this again last month when I attended the Power 2010 deliberative poll which brought 130 ordinary Britons together to discuss ways to improve British democracy. Many of the participants were cynical about the politicians who claim to represent us. But all of them were passionate about making our government more democratic. Together, by talking through the issues and cross-examining experts from across the spectrum of opinion, these citizens assembled a shortlist of reforms which they think will bring democracy back to the people. From proportional representation to a written constitution, from stronger local government to a bill of rights, these ideas represent many long-fought arguments about what’s wrong with the British state. But there are also some ideas which break new ground. My particular favourite is the call for more events just like the one I attended – deliberative public consultations on all of the major decisions facing local and national governments. These events give people a chance to really get their hands on the business of government, and the quality of the debates and decisions offers a sharp rebuke to those who say that the public are too lazy, stupid or reactionary to be trusted with power. 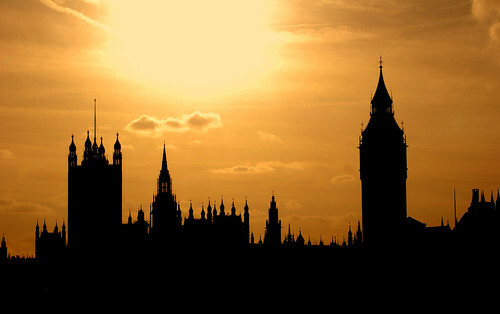 The next stage of the Power 2010 project is a public vote on which of the final five ideas will form the basis of the reform campaign that will kick in to high gear in the run up to the general election. This is a once in a generation chance for us to force the issues we care about on to the agenda. So please take the time to vote for deliberation and take a step toward putting political power back into the hands of the people best qualified to use it – all of us.